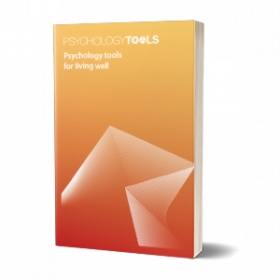 Cognitive behavioral therapy (CBT) argues that what you think and do affects the way you feel, and that our best efforts to cope often result in unintended consequences. 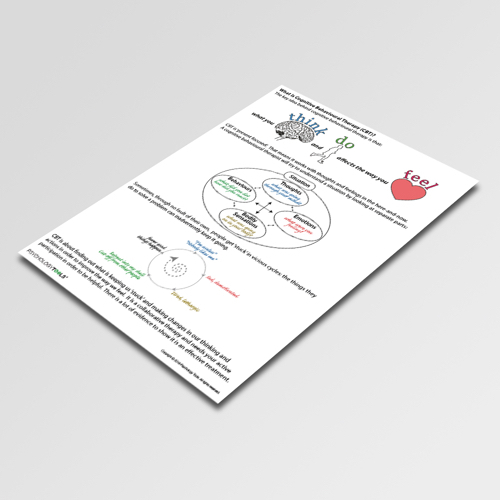 This information handout is a simple introduction to the key elements of CBT. Cognitive Behavioral Therapy (CBT) is a popular, evidence-based, form of psychological therapy. 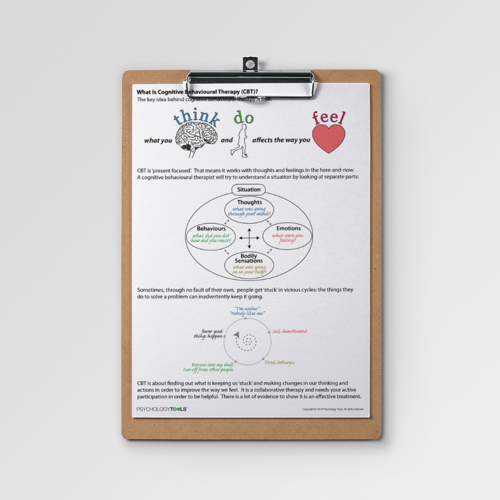 One of the basic messages of CBT is that what you think and do affects the way you feel. What Is CBT? 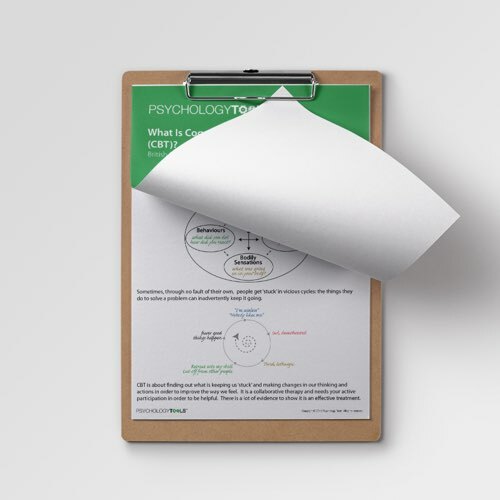 is a one-page information sheet which gives and explanation of the basic principles of cognitive behavioral therapy (CBT), and explores how our (well-intentioned) behaviors often result in unintended consequences. Importantly, it emphasizes that CBT is a collaborative form of therapy which requires active participation in order to be helpful. Beck, J. S. (2011). 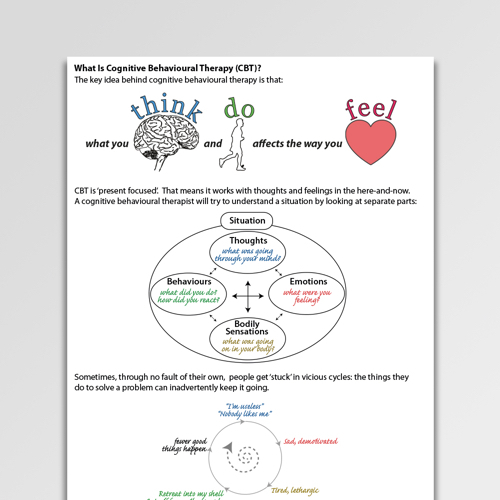 Cognitive behavior therapy: basics and beyond. New York: Guilford.